It’s my birthday this Tuesday and with it falling on a weekday (and because I’ll be spending next weekend in Paris!! 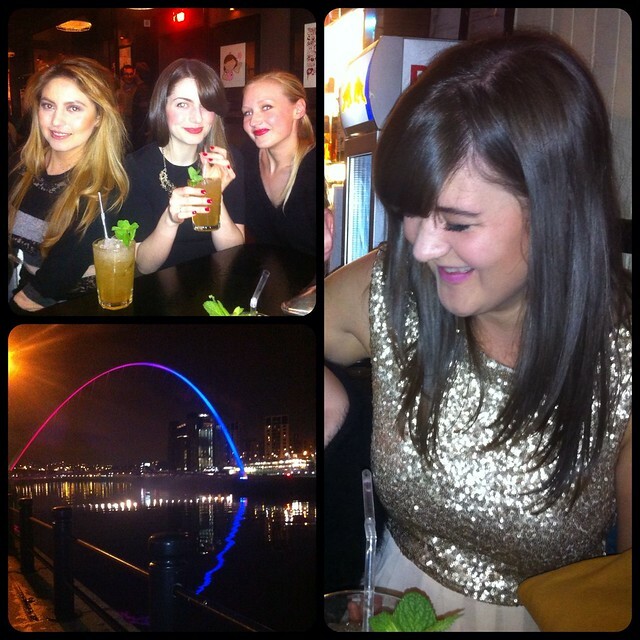 ), I decided to take the last few days off blogging to enjoy celebrating with some of my favourite ladies, over far too many cocktails. Big thanks to the lovely folks at Alvinos for my freebies on Friday! Even though I’ve been a little quiet, I’ve got plenty to share with you over the next few days! I was invited to the fabulous Garden Kitchen on Friday so I’ll be posting my review soon. If you follow you follow me on instagram then you’ll already have had a sneak peak! Hope you all had a great weekend. Gorgeous dress, and happy birthday for Tuesday! Love your dress and happy almost birthday, too! I like birthdays falling on weekdays on my kindergarten days. The entire class would sing a happy birthday song and it's totally different now when you're more mature. LOL!